In November Mr Warmoth ran a workshop for parents on how they could support their children’s reading at home and also informing the parents of what we do in Churchfields Junior School. This was a very well-attended event with over 50 parents present. We looked at a range of different question types that can be asked to children to help them develop comprehension skills. At the end of the session the children came down and read with their parents who practised asking them a variety of questions. 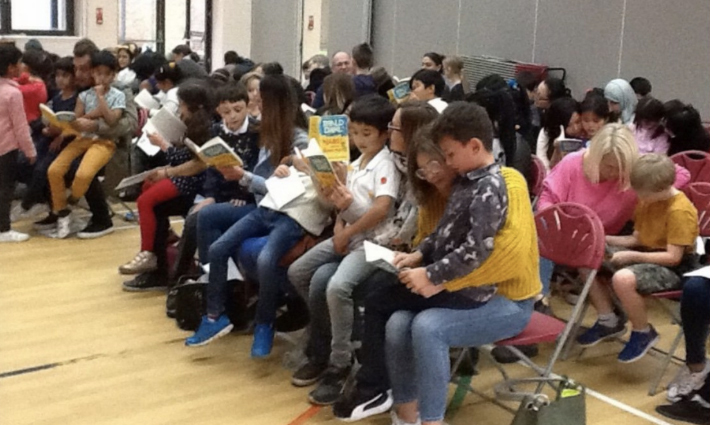 It was lovely to see so many children and parents engaged in and enjoying reading and bodes well for the future development of reading at the school.